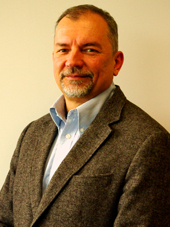 Csaba Csányi is owner, senior consultant and coach of Qualinnova Consulting. As the strategic partner of Profiles International Hungary he is concerned with HR development and counselling. He applies the Brief coaching method for the rise of efficiency, for handling changes and for individual and team developments. Previously, he gained experience in sales, product and service development and company development at SMEs and multinacional companies. He also took part in the operative management of large investment projects, in editing economics textbooks and in the development of economics curriculum. 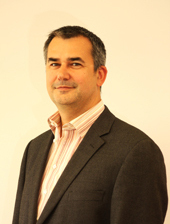 Szabolcs Hajdú is founder, general manager and senior consultant of Qualinnova Consulting. His main activity is the establishment of controlling and liquidity management systems. He has been the chief financial officer of SOLVO Biotechnology since 2008. Before joining SOLVO, he worked as financial director of Főszer-Electric cPlc.. where his responsibilities included establishing liquidity management systems; project management of international projects; coordination of internal developments; management of tenders; coordination of activities of affiliates; representation of companies. 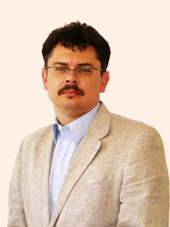 Dr. András Apjok is a senior consultant of Qualinnova Consulting. He graduated as a physician from Faculty of Medicine of University of Szeged in 1993, then he obtained the degree of Master of Sciences in Health Services Research at the Erasmus University of Rotterdam. He has 15 years of experience in project management and 11 years of experience in writing R&D project proposals and in multidisciplinary management. His main activities are the management and writing of project proposals, management of R&D, coordination of consortiums, coordination of international project proposals and complex quality assurance of prominent partners%u2019 projects. He is also experienced in strategic- and project planning, and in judgement of R&D projects. He is fluent in English and Russian. Tibor Börcsök is a controlling consultant at Qualinnova Consulting Ltd. He's an economics graduate and has more than 15 years in developing and implementing control and reporting systems (retail, production, quality, and efficiency), as well as establishing corporate and business unit production margins and profit level statements. He also has experience in establishing and operating internal auditing systems and motivational systems, as well as implementing control technologies (automated MIS, cockpit, data marts). He's participated in the selection and implementation of corporate ERP systems, as well as certification and implementation of quality control and management systems and information security management systems. Tibor has gained controlling and financial management experience in various industries, including the energy sector, the glass industry, and the fields of public transportation and technical services. He has also provided consultancy services in financial management of University grants, as well as in ERP development projects, in pharmaceutical retail, and the construction sector. 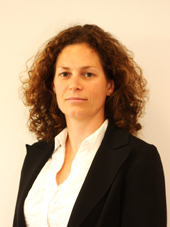 Judit Balaicz, project manager of Qualinnova Consulting, is responsible for the financial accounting of projects for our partners, assembling summaries and reports, managing project duties, and for the technical evaluation of projects. 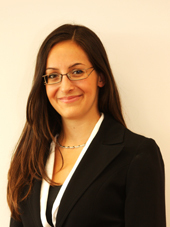 Before joining Qualinnova, she worked as project consultant of Euro M-Érték Ltd. She is experienced in planning and managing projects both in industrial and local government sectors. Annamária Németh, project assistant of Qualinnova Consulting, is responsible not only for participating in project development and project management, but also for providing support in marketing tasks. She is interested in developing international relations. She is fluent in English and in Italian, and she has intermediate economic exam in Italian.